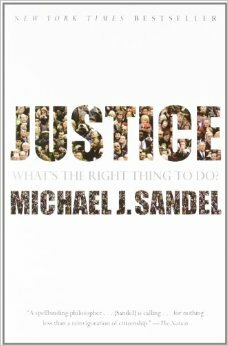 Justice: What’s the Right Thing to Do?, the provocative and acclaimed book by Harvard University professor Michael Sandel, was the 2015-16 Common Reading Program selection. All members of the Class of 2019 and new transfer students read the book before beginning fall coursework. The student scholarship published here includes both the common reading essay contest winners (see works by Morelli, Mateus, and Cullen below) and a selection of high-quality writing recommended by faculty for inclusion in Digital Commons.